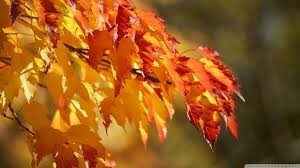 Join the Mission Peak Brass Band for it’s Fall Colors Concert! Hear movie music from Frozen, Lord of the Rings, and the moving Hymn to the Fallen from Saving Private Ryan. The program also includes Eddie DeBons’ A Festive Intrada, Janacek’s Sokol Fanfare, and the Mission Peak cornets playing Cornet Carillon. Also including Philip Sparke’s arrangement of Jerusalem, Dave Adams’ arrangement of Pepita Greus, the contest march Mephistopheles, Chris Hazell’s Kraken, and Victorian Snapshots – On Ratcliff Highway, Ray Steadman-Allen’s mashup of Victorian melodies. Featuring Doug Harris (E-flat soprano cornet) playing Mozart’s Queen of the Night’s Aria.